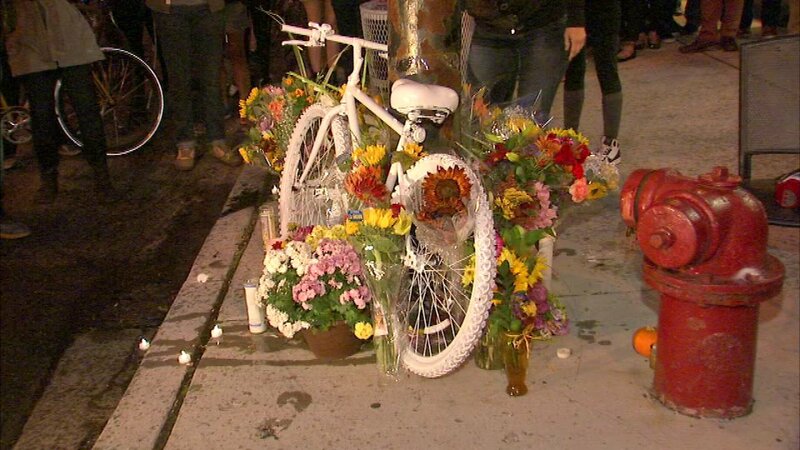 CHICAGO (WLS) -- A Chicago bicyclist killed when she was hit by a truck in Roscoe Village was honored Friday night with a candlelight vigil on the North Side. A crowd gathered to remember Anastasia Kondrasheva at the corner of Addison and Damen, the site where she was struck and killed by a truck carrying construction equipment. A white "ghost bike" will now sit at the site, one of more than a dozen installed around the city marking the death of a cyclist.